Check out this tutorial: http://pixelpusher.us/learn_create_layers.html and if you haven't already, check out the rest of Keef's excellent site! Once you've used it a few times to create layerables you'll understand how easy it is to manipulate meshes using these methods for other purposes. Products vary quite a lot so while the method is the same, applying it in different ways can take practice. It can also be used to turn a dress into a skirt etc in some cases. There are far too many combinations to list here so if you get stuck, post the p.i.d. and what you are trying to achieve below, and I'll create a walkthrough for you. Re: Creating Layerables & Separates. And why 93 and 94 ( and 83 and 84)- what are those numbers? Is there a set like 73 and 74 that are used for something? The meshes are changed under the mesh tab using the XMF drop down, not in Debug 1. For this method the numbers are changed in Debug 2 only. The example used a dress mesh where 93 and 94 were used as the example parts to keep while removing the rest. Those numbers aren't fixed they are dependant on the mesh used. In the example putting 93 or 94 in place of another number makes it disappear, it doesn't matter which you use as long as it's one of the ones you want to keep. The best way to understand is to open that particular product in Create Mode. Perform each step slowly and see what it does. Once you understand what happened and why for each step then you'll be able to apply the process to a different product that has it's own set of numbers. The numbers are called "mesh channel i.d.s". There are 100 available (0 - 99) and two products that use the same number cannot be worn together. Although it is more of a guide for meshers when they initially upload a product it can help you to decide which to use if your layerable is clashing with something else. Thanks for explaining all of that. I did as you suggested, and now it makes sense. You're right, "hands on" usage made the difference. 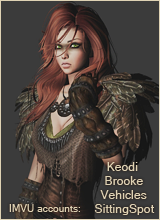 Oooo I like an idea of a guide like that...jeez...I never saw it in the IMVU forums. I find a lot of "resizers" are around the 100+ but it depends on who made the resizer. You can in fact use 0 - 199, but it's at your own risk, if IMVU ever decide to enforce the 0 - 100 rule then you'll have some product editing to do. 200 and above are the figures that crash Create Mode. 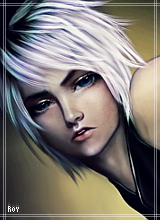 I didn't write the guide, it was a user called SSharonX who amalgamated suggestions from Mercuria and Nerseus. So you can blame Dan (Nerseus) for that! I know someone that uses some channels in the 400's....mostly figured them out by trial and error. I have a couple in the 300's too that I did in the same method when he taught me how (now I am wondering if it may cause other issues tho I have not encountered any as of yet). Now I kind of want to try to list all of the "beyonds" that work and which crash. Lmao, I thought it was just me that added odd polys to other people's meshes to fix them! Well I'll admit I assumed 200 was the limit simply because 199 worked and 200 would crash. I'd be interested to know what other "beyonds" work and how. Although like I said, you have to be prepared for future broken products and because editing derived items is now such a chore, I currently do everything I can to avoid using 99+ numbers. @Zara, I use your tutorial all the time now! It's awesome! 1. Is using it to remove some parts from a mesh (like beading or such) a waste of time or does that acutally help lower kbs (which is what I was thinking it would do)? 2. Similarly as above - for lower kb reasons, is there a way to remove unused bits from meshes that don't have as many pieces as the corset dress (right foot & left foot for example) that will actually lower kbs? For example, on this mesh (http://www.imvu.com/shop/product.php?pr ... d=31660998) is it possible to remove the fur? You can never really lower kbs because the total amount of assets remains unchanged. Whatever the original mesher/submitter put in there stays in the background so to speak. What this method can lower though is the risk of clashing with other products by reducing the number of mesh channels used up. 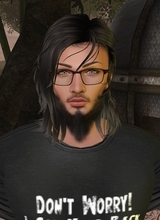 There may be some freaky IMVU occurrence where this method versus hiding with opacity/unticking bodypart i.d.s actually performs better in a chat room but to test that you would have to submit the same product twice modified in both ways. It is definitely very helpful with the clashing IDs issue. Thank you for that list, Zara! That will be super helpful in the future. Hey! I came by since Gaf reminded me to move my Layerables tutorial over here. Should I still move it if we have Keef's? The only difference is mine may have more pictures lol.